Dawn was just breaking over the glorious kingdom of Altador. The bright sun shone through the glass window, letting in hazy streams of light. It made the usually dark and gloomy room look soft and welcoming. The room was almost bare, as all of the belongings and furniture had been boxed up. The only object in the empty room was a small bed. It sat against the dark blue wall, where a Neopet was sound asleep on it. You wake up in your house in Neopia Central, late summer sunlight streams into your bedroom window. After eating your breakfast, you decide to take a walk. As you come closer to the market, you realize that the shoppers are in a tizzy. Colorful vegetables line the market stalls and everyone is trying to get their hands on the biggest and best one. You realize that there's a nip in the air, and it slowly dawns on you. Fall is right around the corner. Realizing that the heat of summer is fading fast, you hurry back to your home. You decide that this year is going to be a little different. To kick off autumn, you want to host an autumn themed slumber party. Given how diverse and unique Neopians are, it’s wholly unsurprising that some of their inventions are equally as diverse and unique. Between decorating Neohomes and fighting opponents in the Battledome to preparing dinner parties and brushing up on the latest Neopian literature, there is certainly a benefit to having access to such a wide array of goods at our disposal. But some of these goods are truly beyond comprehension. Too often I find myself asking, “What even is that? ?” or “Why does this exist? ?” I frequently ponder how these items originated and what purposes they serve. I also wonder about the fates of their creators. And now, I’d like to share some of those oddities with you. 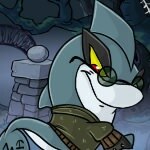 DRAIK - TECHO - POOGLE - SKEITH Neopets Quiz: Month of Gathering Edition Have you ever wondered which Neopet you are most like? Well, never fear Neopian. Take the quiz below - featuring pets whose special day falls in the Month of Gathering - to find out which Neopet you most relate to. And maybe if he or she isn't already a part of your family, you can swing by the Pound to adopt your new friend! Quarkley the Quiggle was no cheat. Sure he liked to play Cheat, and of course he sometimes lied about which cards he was playing. That was the nature of the game, wasn’t it? Everyone does that. And yes, sometimes when playing Gormball he would hold onto it for a few extra seconds so that it was sure to explode on the next person who caught it. It wasn’t his fault they couldn’t throw it fast enough. But Quarkley was not a cheater. Ask anyone, especially that nice young Quiggle Leeroy who runs the Coconut Shy. He would tell you and then make sure you were entertained with a completely fair game in which you were sure to win a rare prize. In fact, Quarkley himself had won a coconut once. Plenty of people had. He wasn’t so sure why everyone thought it was rigged when it was very clear it wasn’t. Of course you wouldn’t win every time. But that didn’t stop those around him from saying that all Quiggles were awful neopets with no sense of morality. Dawn was just breaking over the glorious kingdom of Altador. The bright sun shone through the glass window, letting in hazy streams of light. It made the usually dark and gloomy room look soft and welcoming. The room was almost bare, as all of the belongings and furniture had been boxed up. The only object in the empty room was a small bed. It sat against the dark blue wall, where a Neopet was sound asleep on it. The Neopet in question, was a pirate jetsam. He turned over on his side, squinting his eyes as the light came upon them. He sat up, and yawned, stretching his arms out. Going back to bed felt like the best option. Sadly, it wasn’t the one the jetsam could choose. He had a long day ahead of him. There were things to do and places to see. The Neopian rolled out of bed, standing up and fixing the bed sheets back neatly. Once he was satisfied with it, the jetsam strolled out of the room. He made his way down a small hallway, and into the kitchen. The second part of my journey ended without any trouble. Hugo’s ship landed on Mystery Island at sunset, and we slept at Jhuidah’s place. She seemed really happy to see me « Ane!! Long time no see! How is Lina? Is she doing well with her new family? » As I said earlier, Lina lived with Jhuidah during her childhood. During one of our trip to Mystery Island, Lina introduced me to the Island faerie. « Well… Lina is okay, but that’s not the case of Nala… » And I told her the whole story… « Oh my… That’s horrible! You can stay here with your friend as long as you need to! You must be hungry! I’ll cook you something good, just sit on the sofa and make yourself at home. I’ll be back in no time! »	I was alone in the living room with Hugo when I suddenly remembered that I still had the gift I made for him during our journey. It was a pair of glasses with a special system that was directly connected to the brain. The second part of my journey ended without any trouble. Hugo’s ship landed on Mystery Island at sunset, and we slept at Jhuidah’s place. Dawn was just breaking over the glorious kingdom of Altador. The bright sun shone through the glass window, letting in hazy streams of light. Yes boys, girls, and Neopets of all ages. It’s that favorite (sarcasm) time of year once again! You know what it is, you can tell it by the smell in the air! *sniff* * sniff* *cough* No, not burning leaves and apple cider… chalk dust and pencil shavings! It’s back to school time once again! 10 Avocado Items for the Avocado Lover! Ah, the avocado. A green fruit containing a single, large pit. It is apparently a type of berry, but for the sake of things, we'll just call it a fruit. The flavor of the avocado is rather difficult to describe. Not exactly sweet, but not quite savory either... the avocado is truly the most unique fruit. From various foods, to beauty products, to other oddities, the avocado is a very diverse fruit that deserves to be celebrated!